Climate change is the biggest challenge of our times, yet world leaders aren’t taking action fast enough. Cities and regions are leading the transition to 100% renewable energy by 2050. And we’re right there with them, building a model to advance climate action at the community level. Through grassroots organizing, we’re bringing people from all walks of life together to use our collective power to not only build powerful campaigns, but win them. This movement starts with you. Giving Tuesday is your day to support and be a champion for the issues that matter to you. 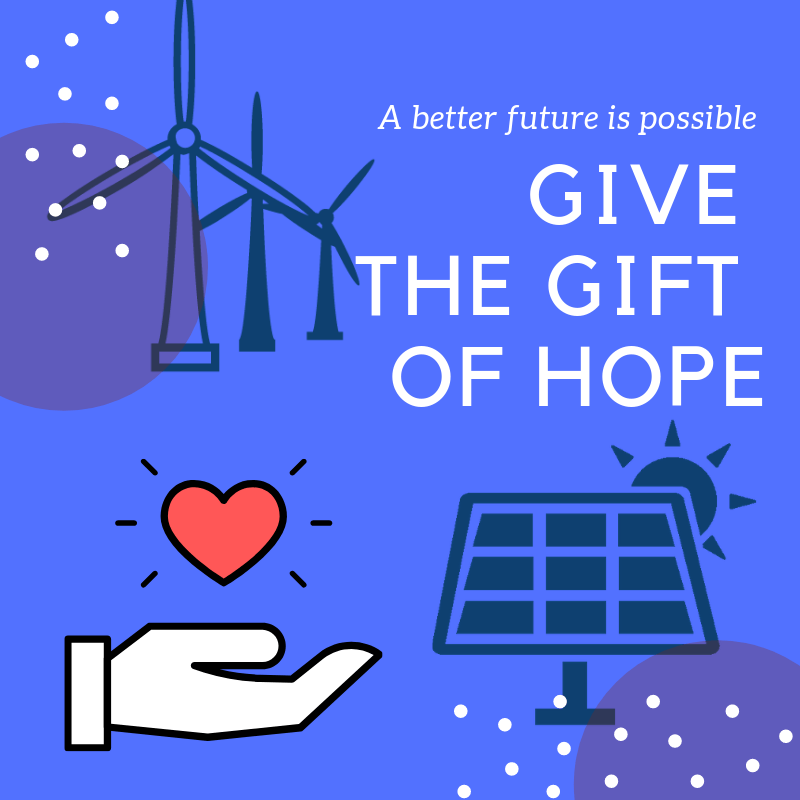 By giving the gift of hope for a better future, your donation will help us reach more people so that more cities and regions not only commit to going 100% renewable by 2050, but create tangible action plans to achieve it, too. When we come together, we win. You can make 100% renewable energy by 2050 a reality, starting today.